Chinese smartphone maker Coolpad has launched its latest offering, the Note 5, for the Indian market with a price tag of Rs 10,999 as part of efforts to take on the likes of Samsung and Xiaomi and boost its market share. Luo Zhongsheng, vice president at Coolpad Group, said the Note 5 has been designed exclusively for India. "We have set a stiff sales target and we aim to cross the 4 million handsets mark by March next year. 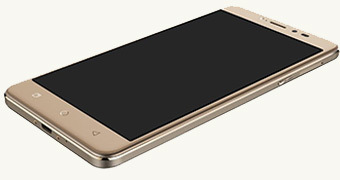 Coolpad aims to be in the top five players in the global and Indian smartphone market," he said. The phone will be sold exclusively on shopping site Amazon via open sale starting 18 October. It will be available in royal gold and space grey colours. The device features a 5.5-inch display with FHD resolution of 1920x1080 pixels. The phone has a 2.5D curved screen. It comes with 4GB RAM along with a Qualcomm SD 617 octa-core processor. The phone has 32 GB internal storage, which is expandable to 64GB using a microSD card. It has a front-facing camera of 8 MP with LED flash and a 13 MP primary shooter. The Note 5 is powered by a 4,010 mAH battery, which the company claims offers standby time of up to 350 hours. The phone runs on Android 6.0 Marshmallow with Coolpad's Cool UI on top. The dual-sim phone supports 4G LTE and VoLTE and is equipped with an accelerometer, geomagnetic sensor, proximity sensor, light sensor and fingerprint sensor. Going by its pricing and specifications, Coolpad's new offering finds its biggest competitor in Xiaomi's highly successful Redmi Note 3 device. While the 32GB variant of the Redmi Note 3 is priced at Rs 11,999, the new Coolpad device is somewhat cheaper. With Note 5, Coolpad is joining a highly competitive segment. In the Rs 10,000 to Rs 15,000 price range several brands such as Samsung, Motorola, Micromax and Xiaomi are vying for customers' attention.